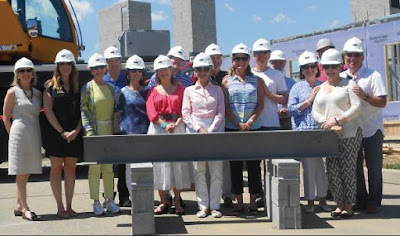 This past June, Athertyn celebrated a structural milestone at Building 6000’s (Phase IV) beam signing celebration. Signatures and personal messages from our new homeowners were collected on a piece of steel that will be incorporated in the building. Watch Live Feed of the construction on our site, Athertyn.com. Once complete, this building will provide expansive views of the tranquil, natural surroundings.